Commonly interpreted as describing ancient world empires, Daniel chapter 7 has been sorely misunderstood. 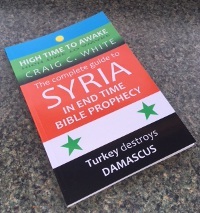 It is high time to properly interpret Daniel’s end time vision, since it is unfolding today. 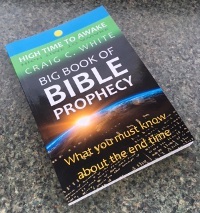 Understanding Daniel 7 provides a startling perspective of our position in the timeline of the last days and the coming trial of Israel and the wrath of God on all the earth. The final gentile world empire is forming. 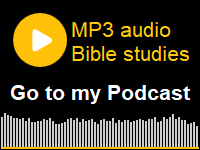 Daniel chapter 7 tells us how. Some say that Daniel chapter 7 is describing the ancient world empires of Babylon, Media-Persia, and Greece. Daniel received this prophecy during the first year of Belshazzar’s reign. Belshazzar was Nebuchadnezzar’s grandson and was the last king in Babylon of the Babylonian empire. He was co-regent of the Babylonian empire with his father Nabonidus who ruled in Tayma (Tema in NW Saudi Arabia). So any “prophecy” that was given to Daniel at that point in time regarding the extent of the Babylonian empire, was not “prophecy” but “history”. Later on of course Daniel did tell Belshazzar of the demise of the Babylonian empire by reading “the writing on the wall” in Daniel chapter 5. The four winds of heaven are describing spiritual forces that influence geo-political events among the nations. Each “wind” has influence over specific geographic regions. The four winds of heaven blow from the four corners of the world. Israel is somewhat in the center. The winds blow from their corners to influence regions but do not necessarily represent one particular nation. They influence their corresponding geo-political quadrants. The four winds of heaven correspond to the four furthest corners of the ancient world empires. They blow to consolidate regional powers under one government, and then to consolidate world powers under one imperial government. The ultimate goal is to reconstitute the territories of the ancient world empires. In Daniel 7 the winds of heaven influence England in the Northwest, Russia in the Northeast, and Central Asia from Iran to India in the Southeast. Today the Southwest wind is blowing upon the Middle East and northern Africa. 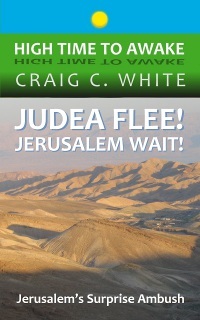 The South West wind is stirring up the Middle East to rise up together in order to rage against God and Israel! The four winds of heaven are employed elsewhere in Daniel. Dan 8:8 “Therefore the he goat waxed very great: and when he was strong, the great horn was broken; and for it came up four notable ones toward the four winds of heaven”. The verse above describes the breakup of Alexander the Great’s Grecian Kingdom. “The four winds of heaven” indicate four directions (NW, SW, NE, and SE) in which the Grecian Kingdom was divided. This is further explained in Daniel 11:4. The great sea in Daniel 7:2 describes the multitude of nations on earth. This similitude is used frequently elsewhere in the Bible. Note: Sometimes in Bible prophecy “the great sea” refers to the Mediterranean Sea, especially when geographically referencing Israel. Ask yourself, do these Beasts exist at the same time? We will see that these beasts come up one at a time, but continue together. As a matter of fact the first three beasts outlive the fourth beast! It is commonly thought that the beast like a lion represents the Babylonian empire. While the Babylonian symbol was in fact a lion, it was never represented by a lion with eagle’s wings. The nation whose symbol is in fact a lion with eagle’s wings is England. Before you dismiss this interpretation please note that this is the view put forth by Sir Robert Anderson in his book “The Coming Prince” (still available). Written around 1900, it is one of the most exhaustive works ever written on Daniel’s seventieth week and the coming Antichrist. The wings on these beasts probably represent colonies (or adjunct nations) of the main beasts. While England had many colonies, I believe that the eagle’s wings depict the United States of America. First, we all know that the symbol of the USA is the eagle. Second, the wings were plucked off in the American Revolution. I believe that this beast isn’t depicting England in its full empire, but it is depicting England’s role in the creation of the final beast (the last gentile world empire). Therefore, I believe that the United States of America plays a supporting role in creating the final beast. We are already playing that role! Take a moment to remember America’s position on the Middle East rebellions. In every instance we are supporting the rebels, usually swiftly and without debate! The fact that it was made to stand like a man, and that a man’s heart was given to it suggests that a particular man will play a significant role in creating the next world empire. This may also suggest that the beast’s once great empire is now diminished to only having a voice in world affairs. The nation that is obviously symbolized by a bear is Russia. For the last one hundred years prophecy scholars have identified the bear in Daniel 7 as Russia. I think the three ribs are yet to come. But let me alert you! We are already seeing signs of them! They are in (or among) the teeth like a bit. They exist together at the same time. They speak to the bear all at once. They may represent Russian political or military leaders or they may represent adjoining nations. I think they are telling Russia to devour territory. I think the Russian bear is raised up along its southwestern border in order to bring back under its authority (and ultimately into the fold of a revived World Empire) the following countries: Georgia, Armenia, and Azerbaijan all north of the Caucasus Mountains; along with Belarus, Ukraine, and Moldova all west of the Ural Mountains. Most people will tell you that the Roman Empire didn’t extend into Russia, but the best scholarship says that it reached as far as the western slopes of the Ural Mountains. In 2008 Russia tested its ability to take back the former Soviet territory of Georgia. Remember the four winds of heaven are blowing to consolidate regional powers. The goal is to reconstitute an ancient World Empire. So Russia will probably overtake nations that once belonged to the Roman Empire. All of the previously listed nations were part of the ancient Roman Empire, and are all situated along Russia’s southwestern border (see map following). I want to stress that this is my inclination! The scriptures don’t spell out these countries by name. The nations that Russia is likely to conquer are the nations that were part of the ancient Roman Empire and also former Soviet Union territories but not part of the European Union or Middle East. Remember, the goal is to reconstitute the territories of an ancient World Empire. Note: By the way, I don’t see Russia in Ezekiel 38 (Gog and Magog). That view came about by transcribing the word “chief” (or the Hebrew word “rosh”) to mean Russia. Rosh means first or primary. Transposing Hebrew words into English phonetic equivalents is not proper interpretive technique. Gog is the land of modern Turkey and Magog is its leader or at least its chief founder. Please read my commentary titled “Magog Made Easy”. Current world events regarding this verse compelled me to write this commentary. I believe the leopard is upon us. According to our interpretation, these beasts are nations or empires. Currently no nations are symbolized by the leopard. However, a new world entity is about to be created that could be symbolized by the leopard. US president Barack Obama is spearheading an effort to form a confederacy of four nations: Pakistan, India, Afghanistan, and Turkmenistan (please note that the leopard has four heads). There are several reasons for doing this, not the least of which is that Turkmenistan wants to build the world’s largest natural gas pipeline to the Arabian Sea. The beginnings of this confederacy already exist. It is called TAPI (Turkmenistan, Afghanistan, Pakistan, and India). This confederacy centers around the Trans-Afghanistan Pipeline. 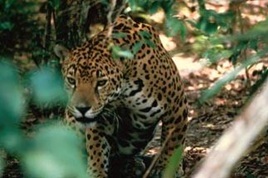 Leopards are common throughout this region. These nations identify with leopards. They have named mountain ranges and former leaders after them. Just an alert: I expect that Iran, Iraq, and the Kurds will also play a role in the creation of this Central Asian Union. This beast has four wings, which probably refer to four adjunct or secondary nations. So this Union will consist of four primary nations along with four secondary nations. In the news lately, Burma east of India seems to have captured the desire of world leaders. If you will remember that former Pakistani President Pervez Musharraf was served an arrest warrant for the 2007 Benazir Bhutto assassination. Miss Bhutto was a former two terms Prime Minister of Pakistan. The assassination happened two weeks before the election in which she was the frontrunner. Musharraf fled Pakistan and was exile in London and Dubai. He was never tried. He is now back in Pakistan awaiting trial. Musharraf is the Pakistani front man for the formation of the Central Asian Union. Well former Pakistani President Pervez Musharraf has gleefully expressed his desire to have US President Barrack Obama as his “Supreme Leader”. It is interesting to note that the Pakistani leadership is in the market for a “Supreme Leader”; considering this is a newly created position. Keep a look out to see if this Central Asian confederacy is clearly and openly represented by a leopard. The formation of this “leopard” would be a confirmation of this interpretation, and a present time fulfillment of God’s sure word. It would also be a major milestone in the end time timeline. We should be awake and watch. I wrote my commentary titled “The Leopard is Upon Us!” way back in 2011. Since then the identity of the four primary nations of the leopard in Daniel 7:6 has become more apparent. In November 2014 then Turkish Prime Minister Erdogan announced his plans to form a new Islamic Union. I think that the first four nations to be included in this Union will be Turkey, Syria, Iraq, and Iran. 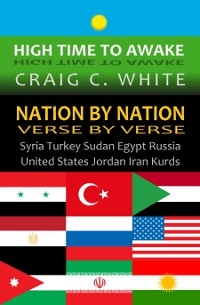 These are the same four nations that Revelation 9:13-16 identifies as being located along the Euphrates River. 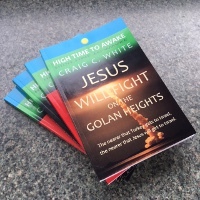 During the first half of the seven year Tribulation period these four nations along with four other secondary nations (or perhaps four Terrorist organizations) will conquer most of the Middle East, Northern Africa, and Central Asia. Please read my commentary titled World War III. Now President Erdogan has made his intentions of forming a Turkish ruled revived Ottoman Empire with him a it’s Sultan very clear! The first nation to fall to Erdogan and to the Turkish Army will be Syria. After Damascus is destroyed and Syria is conquered then Erdogan will install Muslim Brotherhood leadership there! Then the leopard (or Islamic Union) will be formed. In Daniel 7:6 “Dominion was given to it”. My guess is that a place will be given to the leopard in world politics. Let me make a note at this time. England (the lion with eagles’ wings), Russia (the bear) and Central Asia (the leopard) are the furthest extents of the Ancient Roman Empire. The last two are yet to be included in the European Union. I believe that these beasts will become confederate with the EU and the Middle East to form the fourth and final beast. In Daniel chapter 8 the ancient world empires of Media-Persia and Greece are represented by the ram, and the goat. Both of these animals were in fact symbols of these empires. If the beasts in Daniel 7 refer to ancient world empires, then why are the symbolic animals different? A bear and a leopard are different than a ram and a goat aren’t they?! God uses animals to describe kingdoms or empires in Daniel. The ram and goat were actually the national symbols of Media-Persia and Greece. If we assign Persia and Greece to the bear and the leopard in Daniel 7 the symbolism breaks down. We should look for kingdoms that actually use these symbols; the lion with eagle’s wings, the bear, and the leopard! Everybody agrees about the identity of the fourth beast. It represents the last gentile world empire. 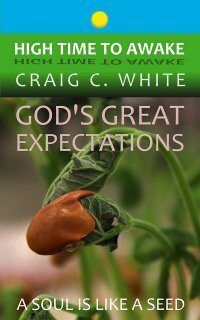 It exists during “the Great Tribulation”. This beast is the same end time empire as described in Daniel 2:40-44, 7:20-24, and Revelation 12:3, 13:1-2, & chapter 17. According to Revelation chapter 13 the fourth beast is an amalgam of the first three beasts. Rev 13:1-2 And I stood upon the sand of the sea, and saw a beast rise up out of the sea, having seven heads and ten horns, and upon his horns ten crowns, and upon his heads the name of blasphemy. 2 And the beast which I saw was like unto a leopard, and his feet were as the feet of a bear, and his mouth as the mouth of a lion: and the dragon gave him his power, and his seat, and great authority. Revelation 13:1-2 above indicates that the beasts exist together at the same time because parts of the fourth beast are made of the first three beasts. If so, then they do not represent ancient world empires. By interpretation the English lion speaks for the one world government. The Russian bear may provide military power with its stomping feet! In Daniel 7:7 above, the word residue or remnant is often used to describe a small population of Jews left in Israel after God judges them. The Russian bear may be stomping the few remaining Jews left in Israel during their three and a half years of Great Tribulation. Horns commonly represent kings in Bible prophecy. The ten horns in Daniel 7:7 represent ten kings. This is explained in Daniel 7:24 and Revelation 17:12. The ten kings over the fourth beast in Daniel 7:7 & 24 are different than the four kings over the four beasts of Daniel 7:17. There are ten kings over the fourth beast, but there is only one king over each of the four beasts. Many prophecy students are looking for a ten division European Union to fulfill the ten horn prophecy. I think that a ten leader world council is more likely. Again, horns commonly represent kings in Bible prophecy. 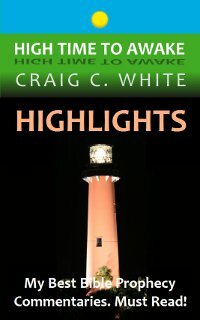 The little horn is a secondary leader, for instance a prince, vice-president, or governor. The term little horn is applied to Antiochus Epiphanies in Daniel 8:9. “Antiochus Epiphanies” was the son of “Antiochus the Great” the king of the Seleucid dynasty (1/4 of the Grecian empire, headquartered in Syria). Antiochus Epiphanies was initially a prince in the Seleucid dynasty until he manipulated his way onto the throne. This little horn will evidently take away or usurp the authority of three of the first ten kings. This little horn has a mouth speaking great things. He blasphemes God, showing himself that he is God (Daniel 11:36-37). This little horn is obviously the Antichrist (1 John 2:18). By the way, the Antichrist will do many of the same things that Antiochus Epiphanies did. Dan 7:9-11 I beheld till the thrones were cast down, and the Ancient of days did sit, whose garment was white as snow, and the hair of his head like the pure wool: his throne was like the fiery flame, and his wheels as burning fire. 10 A fiery stream issued and came forth from before him: thousand thousands ministered unto him, and ten thousand times ten thousand stood before him: the judgment was set, and the books were opened. 11 I beheld then because of the voice of the great words which the horn spake: I beheld even till the beast was slain, and his body destroyed, and given to the burning flame. 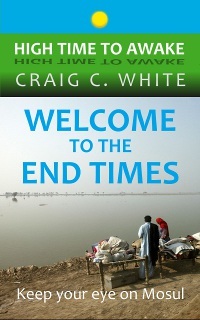 In the verses above, Jesus returns to the earth in fury at the end of the great tribulation. He dismantles the New World Order and tosses the Antichrist into the “lake of fire”. 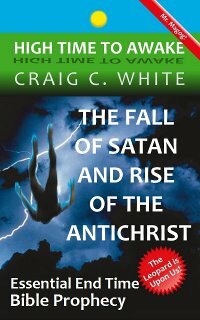 The Antichrist will be the first resident of the “lake of fire”, along with the “false prophet”. The first three beasts (that is: the lion with eagle’s wings, the bear, and the leopard) lives were prolonged for a season and time. A season and time is an idiom meaning approximately one year and three months. The first three beasts survive for one year and three months after the fourth beast is destroyed. This verse cannot apply to ancient world empires. They did not exist at the same time. One world empire defeated the previous world empire. The rest of the beasts, that is: the lion with eagle’s wings, the bear, and the leopard outlive the fourth beast. The fourth beast is the last gentile world empire or the New World Order. It exists during the end times. 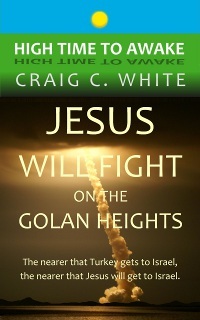 It is in power just before Jesus returns in fury to judge the nations that are against Israel. Therefore the first three beasts also exist during the end times. The four beasts in Daniel 7 exist before and during the tribulation period. The fourth beast is destroyed at Jesus’ coming. 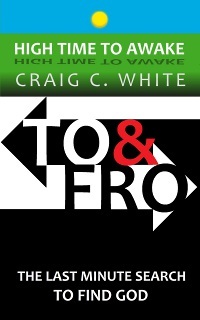 In the verses above, Jesus receives his everlasting earthly kingdom from God the father. Amen, Halleluiah! Dan 7:15-17 I Daniel was grieved in my spirit in the midst of my body, and the visions of my head troubled me. 16 I came near unto one of them that stood by, and asked him the truth of all this. So he told me, and made me know the interpretation of the things. 17 These great beasts, which are four, are four kings, which shall arise out of the earth. In Dan 7:17 our attention is drawn to the four kings not the four kingdoms. Listen up folks! The four kings will be instrumental in creating the fourth beast! These persons will be easily identifiable in their positions over each of the four beasts and their efforts to create a one world government. Today Tony Blair the former Prime Minister of England is playing a major role in the effort to form a one world government. Prince Charles of England is also looked to among the one world government movement. He happens to be the head figure in all the Masonic Order which unites the entire world. In Russia Prime Minister Vladimir Putin and President Medvedev (Russian meaning “bear”) are prime candidates for involvement in creating the one world government. If US President Barrack Obama becomes “Supreme Leader” of the leopard then put him on the list as well. The fourth king rules over the forth beast; he is the Antichrist the man of perdition. Remember, the fourth beast arises after the third. The fourth beast reigns for only a short time. So when we see the leopard we are only a step away from the next world empire and the Great Tribulation. Thank God that after these wicked men have their day, then the righteous will triumph. I’m looking forward to that everlasting kingdom. The Saints consist of believers in Christ Jesus: including Old Testament Hebrews and proselytes (resurrected after the great tribulation), New Testament Christians (resurrected and raptured before the tribulation), tribulation martyrs (a multitude from every nation), and post tribulation Hebrews (a national turning to Jesus). I hope and pray that you are part of this group. Just a reminder; the fourth beast is the final gentile world government. The statement, “whose look was more stout than his fellows” doesn’t mean that the little horn (the Antichrist) is a bodybuilder or that he is overweight. Daniel is telling us that it was evident to him by the appearance of the little horn that he is master or chief or head over the ten kings. However if Arnold Schwarzenegger gets involved in the Israeli peace talks I might change my mind. That was not a joke. The saints mentioned here refer to the nation of Israel (See Daniel 7:25 and notes). Dan 7:22-25 Until the Ancient of days came, and judgment was given to the saints of the most High; and the time came that the saints possessed the kingdom. 23 Thus he said, The fourth beast shall be the fourth kingdom upon earth, which shall be diverse from all kingdoms, and shall devour the whole earth, and shall tread it down, and break it in pieces. 24 And the ten horns out of this kingdom are ten kings that shall arise: and another shall rise after them; and he shall be diverse from the first, and he shall subdue three kings. 25 And he shall speak great words against the most High, and shall wear out the saints of the most High, and think to change times and laws: and they shall be given into his hand until a time and times and the dividing of time. Let’s remember that God gave this prophecy to Daniel and it directly concerns the nation of Israel. The Antichrist will sorely oppress the Jews and may try to change the Old Testament laws of worship and sacrifice. He will think to change times and laws. This may refer to reorganizing the world under one government under himself. “A time and times and the dividing of time” is an idiom meaning three and a half years. 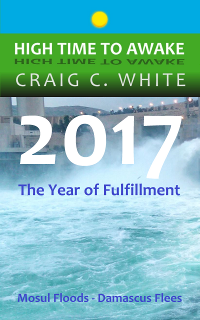 This period of time is considered to be the second part of the Tribulation. 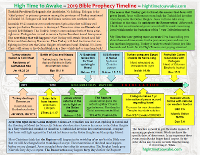 “The Great Tribulation” is also expressed as “The time of Jacob’s trouble”. Jeremiah 30:7 Alas! for that day is great, so that none is like it: it is even the time of Jacob’s trouble, but he shall be saved out of it. 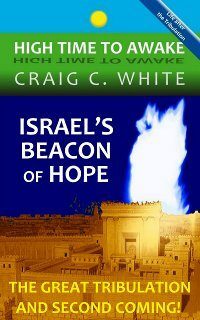 It is also known as the “Seventieth week of God’s indignation toward Israel” (Daniel 9:24). It is also the day of God’s wrath on all nations! Dan 7:26-28 But the judgment shall sit, and they shall take away his dominion, to consume and to destroy it unto the end. 27 And the kingdom and dominion, and the greatness of the kingdom under the whole heaven, shall be given to the people of the saints of the most High, whose kingdom is an everlasting kingdom, and all dominions shall serve and obey him. 28 Hitherto is the end of the matter. As for me Daniel, my cogitations much troubled me, and my countenance changed in me: but I kept the matter in my heart. If Daniel 7 refers to ancient world empires then it contributes no further information than is already expressed elsewhere in the book of Daniel. Read Daniel 7 carefully. Consider unfolding world events. Consider the nations that are represented by the lion with eagle’s wings, the bear, and soon the leopard. 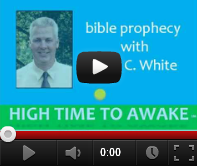 Watch as prophecy that troubled Daniel unfolds before our eyes. Know that God’s word is sure. For fresh insight on the formation of the leopard in Daniel 7 read Look for an Islamic Union represented by a leopard! Hello again! In this commentary, you indicated once we see the leopard, we are only a step away from the final gentile world empire and tribulation. Would we expect to see the manifestation of the third beast (the leopard) come prior to the 1st Gog-Magog battle or this invasion of Israel come prior to the leopard being fully formed?, as I thought the 3rd and 4th beasts would both be present prior to the Gog-Magog invasion of Israel. Then all would know who the leader of the final gentile empire (4th beast) would be as he would manifest himself when he makes the 7-year peace agreement with Israel immediately following this attempted battle with Israel that God thwarts. I’m just trying to get things in sequence of their events so we have a rough idea of what to expect sequentially. 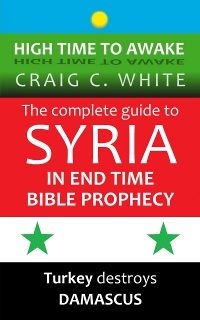 I think that the Ezekiel 38 invasion into Israel is forming now in Syria. 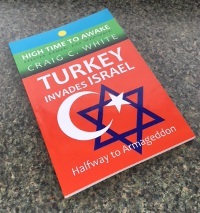 This is a Turkish led invasion into Israel known as the battle of Gog and Magog, but there two are other biblical battles known by the same name. 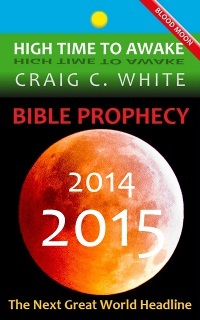 One of them is Armageddon described in Ezekiel 39 which happens at the end of the seven year long Tribulation period. The final battle of Gog and Magog happens 1000 yrs after that (Rev 20:8). 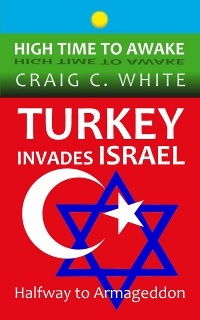 The term “battle of Gog and Magog” refers to any one of these three Turkish led invasions against Israel. Daniel chapter 7 describes the Russian bear before it describes the Central Asian Union. So I would expect to see Russia conquer nations on its western border before we see the formation of the Leopard, but the Central Asian Union could be formed at any time. It is already in its preliminary stages (Google TAPI). I think that Russia will go on a rampage after Turkey invades Syria and destroys Damascus. All of this is going to happen SOON. I have recently been playing with the notion of these animals and nations in modern representations. One thing that strikes me is the relationship between Russia and Russia’s proxy, Iran. Iran does have the Leopard as its symbol and what empowers, gives movement to the Leopard but the feet of that Bear? The current inter-relationships among those Mediterranean nations is extremely fluid, but I think it worthwhile to examine corollaries. Islam did very recently have a head that received a severe wound. Although a Photoshopped image was produced, a body was not, but was allegedly buried at sea, contrary to Muslim traditions. Many who might corroborate the details have died prematurely. Makes one wonder what would happen if this fellow materialized. Be certain that these beasts represent end time confederacies of nations or Unions! The fourth beast is destroyed at Christ’s coming and the three others continue for a time. These national symbols are very obvious. Everybody knows that the bear represents Russia, and the eagle represents America. The Leopard will also be very obvious to everybody. By the way, US Secretary of State John Kerry has recently been talking up US relations with Pakistan. I think that former Pakistani President Musharraf is the point man for the formation of the Central Asian Union. 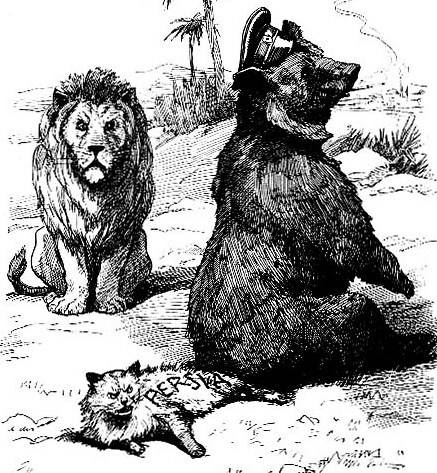 The Lion = England and Russia the Bear is a good interpretation. For example-Dan 7:4 says ” the lion was left standing on its two hind legs like a man”. Have a look at ‘The English Royal Coat of Arms of the United Kingdom of Great Britain’ as used by QE II . 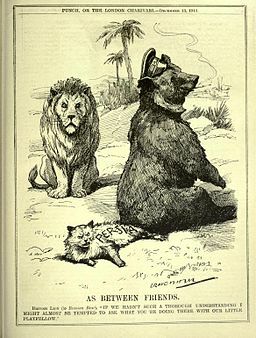 An old Punch magazine cartoon from 13 December 1911 show ‘the Russian Bear sitting on the tail of the Persian Cat while the British Lion looks on’. Just stumbled on your website doing some research on the subject. In fact, i had just done a search for every nation using Leopard as a symbol and I came up with a list of Afghanistan, Pakistan, Kazakstan, and Iran (and a few smaller nations not worth noting). I thus found it very interesting your interpretation that the leopard has to be a Central Asian confederation, as it seems to confirm what I had found. I just doubt that India will be included – Pakistan and India cannot stand each other. As to beast one and two, I and a lot of other people came to the same conclusion. As to the fourth beast, that i guess we will see. However, I note that it is hard to imagine a scenario where another world power, China is not involved. I am wondering, looking at current events, if “the dragon gave the beast its power” has a double meaning of both Satan and China. Maybe the final beast is a coalition of European states distinct from the EU (which looks like it will break apart) or Arab nations which are empowered economically and militarily by the Chinese. Could even be an asian alliance of 10 nations, but hard to see how Europe is left out of the picture. Finally as to the Gog and Magog war, that is a red herring. That can only happen after the Millenium. The timing is given in Revelation when Satan is loosed. Ezekiel clearly states that God’s name will never be blasphemed again and Israel will no longer doubt God after that war. Pretty hard for that to occur at any other time. 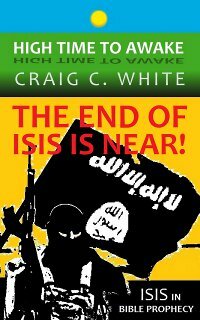 However, I believe Satan will use a “fake” Gog-Magog war given flawed interpretations of scripture, defeating the muslim nations around israel, and perhaps involving a global conflagration amongst the major powers (WWIII) to rise and claim that was the battle of Armageddon/Gog Magog war and claim to be the messiah. 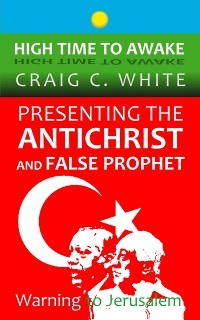 That fits well with all the people claiming that the Madhi/Mohommed is the real antichrist. Hi Chris: I think you are on the right track. The forth beast consists of all three of the first beasts or Unions. It has ten horns or rulers over it. It is the next world empire. I realize that I am definitely behind in the count, when it comes to reading all of your commentaries, in that I just recently discovered them. As I mentioned before, I am allowing God to resharpen my watchman eye. I think this makes my studies more enhanced by the fact that in the past two weeks, current events are screaming out to align with the prophetic word. For instance, since last Thursday, October 3 the following has happened: Turkey under the direction of Erdogan has attained approval from his parliament and the Lion, while the Bear and Israel are content for the moment to let Turkey enter Syria. Also the events of the past few days have led to Joe Biden offering an apology to Erdogan for one of his famous gaffs, while at Harvard University. I think Obama had something to do with sending him out quickly to appease the offended AC. Your thoughts on Obama and the Leopard intrigue me, because I too believe we will see this man trying to get involved in the Global Union. Do you have any commentary on Obama’s role in future world order? I was thinking the UN. Sergio. We two geniuses need to stick together. Checked out TAPI and it looks like it’s going ahead…??? 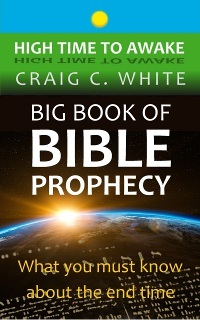 You wrote: Many prophecy students are looking for a ten division European Union to fulfill the ten horn prophecy. I think that a ten leader world council is more likely. But what about the G10 and g7? HORNS –> G10 – The Group of Ten group the 10 most powerful nations/ or industrial countries (Belgium, Canada, France, Germany, Italy, Japan, the Netherlands, Sweden, Switzerland, the United Kingdom and the United States) which consult and co-operate on economic, monetary and financial matters. Hi Fernanda. The ten kings rule over the next world empire. They are yet to come. I think that Daniel chapter 7 tells us that the next world empire consists of the European Union, the new Russian Union, and a new Middle Eastern Union. So the European nations don’t cover it. Like a leopard is not a Leopard, the only animal I know that is like leopard is brazilian jaguar that also represents : Brazil and the back four wings could be the Mercosul :Argentina, Brazil, Paraguay and Uruguay ( original group) that together is the 5th economy in the world. Today Its full members are Argentina, Brazil, Paraguay, Uruguay and Venezuela, however Venezuela is failing and I believe soon it is going to be kicked out from thr block. NOTE: I just mentioned that to say we should not only look for the nation symbols, but also check other facts and I also agree with your arguments and for me Barack Obama is Gog and the leopard is going to be TAPI (Turkmenistan, Afghanistan, Pakistan, and India). We should definitely look for the actual national symbols of these nations or Unions. In the following verses the national symbol of the Mede and Persian empire was the ram, and the symbol of the Grecian Empire was the goat. Just like the national symbol of England is the lion and the national symbol of Russia is the bear; the symbol of a new Middle Eastern Union will obviously be a leopard. Dan 8:5-6 And as I was considering, behold, an he goat came from the west on the face of the whole earth, and touched not the ground: and the goat had a notable horn between his eyes. 6 And he came to the ram that had two horns, which I had seen standing before the river, and ran unto him in the fury of his power. More people awear of the mark of the beast. My concern is that it is upon us . I do not believe that the Christian people are knowledgable enough to not take the mark. 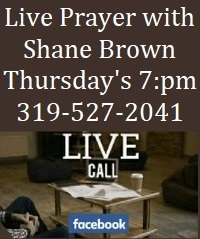 Please help us get the word out . As well as getting the knowledge so that our young people will pay attention about this urgent matter. We need material that they can understand, they do not understand Revelation and are afraid of it. 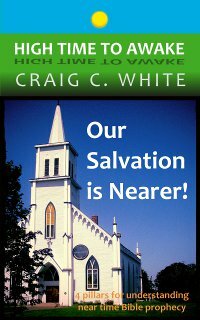 There is always a near and a far portion to any prophecy.